With the newest season of Game of Thrones having just dropped its second episode it seems that nobody can satiate their appetite for the show. Luckily for any fans in the Washington, DC area a new pop up bar has arrived just in time for anyone who can’t get enough of Westeros. From now until August 27th any die-hard fan can drop into the Game of Thrones Pop-Up Bar (PUB) to sample the multitude of Westeros inspired cocktails whilst sitting under a full sized weirwood tree, or on the Iron Throne itself. Cocktails served here include Shame (tequila and grapefruit tonic), Milk of the Poppy (Armagnac, Dark Rum, Don Ciccio & Ciccio Concerto, Coconut, Pineapple, Lime, Clarified Milk), or The Lannisters Send Their Regards (Vodka, Fino Sherry, Contratto Bitter, Strawberry, Lemon, Sparkling Water). 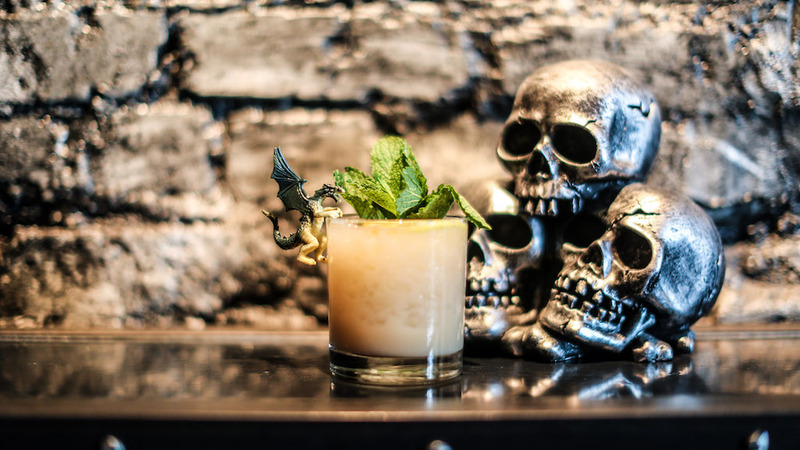 So if you want to feel like a true Mother of Dragons head over to the Game of Thrones Pop-Up Bar and indulge your inner fan.